Vanaprastha, living in the forest. Giant Tingle Trees (eucalypts) in the Valley of the Giants. Brahmacharya, Grihastha, Vanaprastha, Sannyasa : The 4 Ashrams of the human life span. Vanaprastha is a sanskrit word (Vano + Prasthati). It means “to go to the forest” or the act of “being in the forest”. The weather has turned, winter has arrived. We have had a fire every evening for the past couple of weeks. Time for contemplation and hibernation. 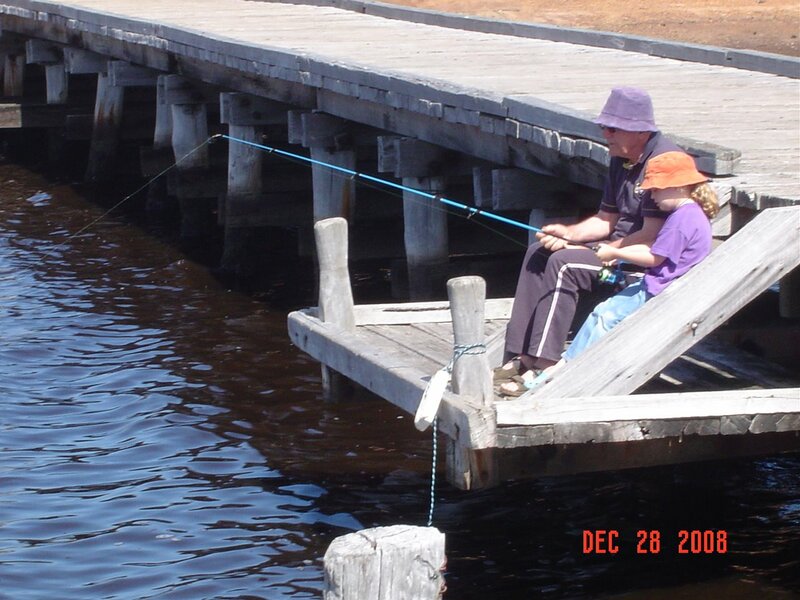 The picture is Roland and our grand daughter fishing from the Town Jetty. I’d like to make some deeply philosophical comments but the mundane, the banal is at the forefront of my life presently! However, it is interesting to note that, according to Vedic philosophy, the third stage of the four divisions of life known as the ashrams is vanaprastha. Vanaprastha corresponds to Western ideas of retirement. The demographic is 50-75 years old so we fit nicely into that. Traditionally this withdrawal from work is to a forest dwelling, to concentrate on spiritual practices. In Roland’s case this would be fishing!